Although the offseason isn’t over and many free agents remain on the market, projection season is upon us as spring training inches closer. Dan Szymborski’s annual ZiPS projections were released for the Reds today. Unlike the last several years, have a more sunny outlook on the upcoming year. You can take a look at the full projections over at FanGraphs, but let’s break down some of the more notable ones here. Will Joey Votto bounce back? “Bounce back” seems like silly phrase to associate with Votto, who had a fine season in 2018. However, it wasn’t quite up to Votto standards — especially regarding the power. His .419 slugging percentage was a career low in a season in which he stayed (mostly) healthy. He hit just 12 home runs and 28 doubles. On the surface, that could be a cause for concern when coupled with his age (35). However, there’s an argument that some bad luck came his way, too. Votto’s expected slugging percentage (xSLG) was over 50 points higher (.472) and his expected weighted on-base average (.390) was 20 points higher than his actual output (.490). As a reminder, these stats measure what the outcome should have been based on exit velocity and launch angle. In short, Votto is still hitting the ball hard. He just wasn’t finding the gaps or getting the ball over the wall with regularity. 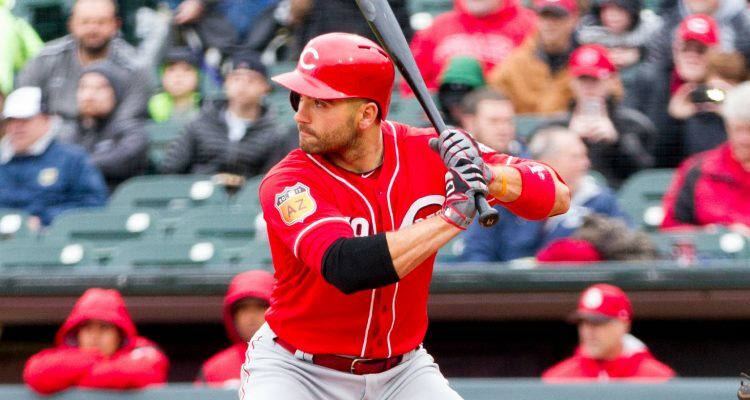 ZiPS expects Votto’s fortunes to even out a bit in 2019, but not as much as hoped in the power department. The system projects him to have a 4.3 fWAR, up from 3.5 last season, with a .291/.421/.467 slash line — an improvement over his .284/.417/.419 showing last year. Still, it doesn’t have him rebounding to the .500 slugger we grew accustomed to throughout his career. ZiPS projects 18 home runs and 26 doubles for Votto. If the rest of the lineup performs as expected, the Reds can live with that. How will the offseason additions perform? The Reds’ front office was busy on the trade front during the offseason, adding Tanner Roark, Alex Wood, Yasiel Puig, and Sonny Gray to the mix. We’ll start with the most popular man in Cincinnati right now. Puig’s power has many wondering whether he’ll get to 30 home runs for the first time in his career while playing half of his games in Great American Ball Park. ZiPS has him coming up short at 24. It does, however, project a 2.7 WAR, which trails only Votto and Eugenio Suarez. Roark, Wood, and Gray aren’t expected to become aces but solid middle-of-the-rotation arms that the Reds haven’t had in years. Wood is projected for the best season of the bunch with a 3.86 ERA (3.87 FIP), 8.16 K/9, 2.76 BB/9, and 2.3 WAR. Gray is expected to improve on his inflated ERA from a year ago with a 4.14 mark in 2019. The strikeouts are expected to stay even (8.53 K/9), while the walks come down slightly (3.40 BB/9). Roark’s projections are in line with expectations for a No. 5 starter: a 4.60 ERA, 4.64 FIP, 7.62 K/9, and 3.03 BB/9. How much better is the starting rotation? You probably didn’t need ZiPS to tell you this, but the rotation should be significantly better than last year. It currently has six starters projected to be worth at least one win, with Luis Castillo, Wood, and Gray coming in above two wins. For reference, the last Reds starter to reach that benchmark was Anthony DeSclafani in 2016. The last Cincinnati team with a pair of two-win pitchers was in 2015 (DeSclafani and Johnny Cueto), and the last Reds club with three two-win starting pitchers was the 2013 squad (Mat Latos, Homer Bailey, and Mike Leake). The projections weren’t quite as kind to DeSclafani (4.62 ERA, 4.78 FIP) or Tyler Mahle (4.71 ERA, 4.80 FIP). The Mahle projection is the biggest head-scratcher, as the system doesn’t anticipate much growth from the young right-hander. Given his minor-league track record and how he pitched in the first half last season, it’d be surprising if Mahle doesn’t take a step forward this season. On the bright side, ZiPS does expect his surprisingly high walk numbers to come down to 3.54 per nine innings. There’s room for improvement beyond that, as he never walked more than 2.52 batters per nine innings in the minors. Is Nick Senzel an instant-impact player? The 2019 season is when we’ll finally see Nick Senzel in the big leagues. And it sounds like he has at least a shot at making the Opening Day roster as the starting center fielder. In light of that news, the ZiPS projections seemingly undervalues him. The system went light on the games played projection for Senzel (86), but it expects him to make an impact when he is on the field, with a .267/.335/.447 slash line, 21 doubles, three triples, 11 home runs, and 11 steals. Paired with a positive defensive contribution, that gives him a 1.9 WAR in those 86 games, which is quite a significant contribution in only half a season. That would place him sixth on the team, and his WAR per game would trail only Votto and Suarez. If we take that projection out to 120 games, that comes out to a 2.6 WAR. If Senzel can play 140 games, it would put him at 3.1 and into the NL Rookie of the Year conversation. For the curious, the Reds haven’t had a rookie hitter with a WAR over 3.0 since Votto in 2008. Which players could regress and who could break out in 2019? Projections aren’t perfect, and players often outperform or underperform them. But ZiPS uses an immense amount of data to make these projections. It can often determine a player who will disappoint or pleasantly surprise in the coming year. Scooter Gennett is projected to have the biggest regression, falling from a 4.5 to 2.2 WAR. Most likely, ZiPS doesn’t think he’ll maintain a .358 batting average on balls in play, which is more than fair given his .334 career mark. While his power output is about the same (21 home runs), his slash line falls from .310/.357/.490 to .278/.325/.455. The batting average projection is likely a tad low, but he’s probably not going to hit .310 again if he needs a .350+ BABIP to do it. He also loses some value defensively. On the pitching side, ZiPS expects regression from Jared Hughes and David Hernandez. This isn’t particularly surprising since both pitchers had a big discrepancy between their ERA and FIP/xFIP/SIERA. Hughes’ differential was largely due to a lack of strikeouts and Hernandez because of his low ground-ball rate. That said, ZiPS still thinks both will be productive relievers in 2019. It gives Hughes a 3.55 ERA and 4.03 FIP, and Hernandez a 3.57 ERA and 3.72 FIP. Offensively, Senzel is the breakout star, but ZiPS also sees solid contributions from Jesse Winker. It believes his defense will improve from really bad to average and his offense will remain strong (.279/.371/.430). Winker gets shorted a bit in the power department (21 doubles, 12 homers). It wouldn’t be a shock to see him unlock more power this year, as his average exit velocity (90.3 mph) was 58th out of 332 players with at least 150 batted ball events and trailed only Suarez among Reds hitters. ZiPS doesn’t believe any Reds pitchers will “break out,” but it does project more improvement for Castillo. His strikeout and walk rates are projected to stay about the same, but it doesn’t expect home runs to be as problematic. In total, it has him down for a career-high 2.6 WAR. That seems like a conservative projection when factoring in how he pitched in the last four months of the 2018 campaign. Who had the most interesting player comparisons? Player comparisons are often a futile exercise, but hey, they’re still fun. The Reds had a few fun player comps in this year’s ZiPS projections. Jose Peraza’s best comparison is Julio Franco, so we can safely assume he’ll play until he’s 48, too. Puig was compared to Richard Hidalgo; let’s just hope it’s referring to that weird 2000 season when Hidalgo exploded for 44 home runs. Senzel gets Travis Fryman, which is a pretty strong statement for a player who’s yet to appear in a big-league game. The ZIPS projections are usually interesting as a topic of conversation, but how seriously should we take them? For example, I’m curious to know what ZIPS projected in 2018 for Gennett? I mean, at some point, I’m just going to quit calling him Scooter, and just refer to him as RG. Regress Gennett, your starting 2B. Just have to take them for what they’re worth. They’re not gospel or anything. But they are built upon tons and tons of data from past seasons and advanced algorithms, so they’re not worthless either. Some players are just hard to project, and Scooter has fallen in that category the last two years. Interesting how close they hit with some but how far off they actually were. In all fairness i could of guessed 3 triples without the benifit of an algorithm. Math also misses alot of factors. Obviously i think this years projections for him are too low. No offense to you Matt, but every writer on this website said RG’s 2017 season was a fluke and that the Reds should dump him for a bag of baseballs while they still can. And it seems like we’re headed toward the same groupthink heading into 2019, citing the same evidence. I didn’t agree with it then and I don’t agree with it now. Second base will work itself out. 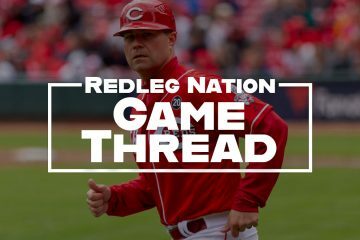 If RG actually does begin the inevitable baseball regression in his age 29 season, the Reds are only on the hook for this season, and they have plenty of options. The bigger worry is what are the Reds going to do about their 36 year old, $25 million a year first baseman? When you guys talk about “regression” that’s where the conversation should go. Absolutely right tampa. I am sorry I was unclear. I was attempting to point out some follys with projections. Not very well it seems. Scooter is going to have another good year. Tampa, I agree. Gennett has a 6.6 WAR over the past two seasons combined. There is value in that for the Reds, even if other teams aren’t beating down their door to try to acquire him. We are seeing this off-season more than ever that remaining years of contract control are perhaps the key consideration when assessing a player’s trade value, and of course, Scooter has only one year left before free agency. I think Votto, Suarez, Tucker, and Schebler are about right. I think Scooter (naturally), Winker, and Puig, and Peraza are somewhere between slightly and very underrated. I believe Peraza will take a big step forward, and Puig will challenge Suarez and Votto for the best offensive player on the team. Winker I honestly believe will more or less match Votto’s production in every way, with maybe about 20 fewer walks. Peraza will put up a WAR between 3.0 and 3.5, Scooter and Winker will both put up 3.5+ WAR, while Puig’s WAR will be right around 4.0. Senzel, I have no idea about. He could explode on the scene. He could have a quiet but solid start. He could completely tank. Completely no idea, too many unknowns right now. I’m sure Votto did skew the team’s obp, but so did Mr. Hamilton. Puig and/or Senzel essentially taking Hamilton’s ab’s should have a huge impact. I think this year will be interesting in the fact that with our improved pitching the games will be more competitive. We are going to find out if guys like Suarez, Peraza and Scooter are the real deal or are they “ looters “ , paraphrasing Kenny Smith and Charles Barkley, putting up good numbers with bad teams in garbage time. We have been so bad the last 2 years and the games so uncompetitive that you almost have to throw the stats away. That’s… that’s literally not how baseball works. In basketball there can be “looters” because *someone* needs to score during the 60 minutes that is being played. In baseball, the entire lineup could go 0-3 every game and the game would end naturally. Likewise, if a pitcher never records an out, the game will never end. I’ve seen this comparison thrown around over and over (last time I saw it with regards to Votto) and it always irritates me. Looking at the 2019 projection they are predicting Scooter to play like he did last year except for the month where he had an 1139 ops. The rest of the year he bounced from 757 to 835. That’s how I read the projections too. ZiPS isn’t perfect but it is far and away the best out there in my opinion. While I date back to Kluzewski and that crew at about 8 years old I am very new to analytics, projections and etc., I have a question about pitching with the “young” arms who have been around for going on 3 years. Mahle is the youngest with Finnegan at about the same age. The others will all be 26-29 during 2019. With the addition of the 3 new pitchers they are either headed back to the minors or the BP. As last year unfolded I would see other organizations bring same age pitchers to the majors who seemed more polished or who had an additional pitch. Ours seem to be still “developing “ a change or some other off speed pitch. I would think destined starters who don’t make the rotation are not going to be with the Reds at the beginning of the year. Romano May be different due to showing ability to work out of the BP. Is their age going to begin working against them? Have the Reds failed them in developing their skill set while in the minors or are they just not as good as thought. Even Castillo is lost at times. Garrett comes and goes. DeSclafani is the oldest of this group and IMO is a make or break year for him. I’ve seen bobsteve look great a couple of times but get lost. Reed looked better at the end of the season. I know some are not products of the reds system. My fear is this is a lost generation of pitchers. Any thoughts? Most of you are regular contributors and wondering what you think. Either they are just not that good or the reds failed them or are not good judges of talent. You bring up a good point that has interested me for some time. Why hasn’t the plethora of Red’s young pitchers since Johnny Cueto left produced more ready starting pitchers? I think the hiring of well regarded pitching coach, Bryan Price, after the Dusty Baker era ended is a part of the reason. Price was over his head as the manager and was not able to develop a good pitching staff. Major changes have occurred this off-season in the front office to strengthen starting pitching with three established starters. I have always thought the young guys just never got a real chance to prove they can or can’t get guys out at the big league level.Sure its just an opinion but what does it prove if Mahle and Reed pitch lights out in the minors as they have done in the past.The big leagues is the big leagues and until you do it in the show its just all potential.All of us could go back and look at every pitcher’s first 40 or 50 starts in the majors and realize even the great ones struggled.Don’t get me wrong the guys we picked up have the stats that are better then the guys I am talking about but its because they got the chance to fail in order to get better.I think the Reds know this and haven’t given up on any of them because well they are still in the organization.Of course its all in the past so lets move on.Go Reds. I think there is something to some of the younger pitchers not getting much of a real chance. Maybe they were brought up too early, or maybe they weren’t given a long enough leash, or likely a combination of both. I’m not sure, but it does appear that more data would be needed to form more conclusive determinations. Taking a look at the IP as a starter over the past three seasons we see that only Romano has a full season’s worth of innings under his belt. Robert Stephenson has 105.2 IP as a starter over parts of 3 seasons. During his time as a starter he has a 4.79 ERA. Cody Reed has 81 IP as a starter (most coming in 2016) over parts of 3 seasons. During his time as a starter Reed has a 6.89 ERA. Sal Romano has 218.1 IP as a starter over the past two seasons. During that time he has a 5.08 ERA as a starter. Tyler Mahle has 132 IP as a starter over the past two seasons. During that time he has a 4.64 ERA as a starter. Reed’s stats are thrown off by an absolutely awful 2016 (7.36 ERA in 47.2 IP). Stephenson’s overall numbers are also skewed a bit by 3 really poor starts in 2018. In 2016-2017 as a starter he put up a 4.45 ERA in 95 IP. Mahle’s 2017 Sept and first half of 2018 also paint a rosier picture for him as well. In 6 GS and 20.1 IP from July 2018-end of season Mahle had a 10.18 ERA which skewed his otherwise good numbers. Mahle will be 24, Romano will be 25 and both Stephenson and Reed will be 26 this season. Personally, I believe the lack of a real 3rd pitch makes Romano a good candidate for the bullpen, and he’s also had the most opportunity to perform. I’d like to see the other three continue to get more chances moving forward. This will be difficult for Stephenson considering he doesn’t have any more options, but his stuff makes me not want to give up on him yet either. We’ve really got to be careful evaluating pitchers by ERA, especially with small sample sizes. It’s a small sample size for xFIP, too. If you’re frustrated by “small sample size” that was H4V’s original point. Hotto, let’s hope that DB & DJ see the same situation and address the deficiencies of the past seasons when the opportunities exist. I see a long, successful career in MLB for Romano as a reliever. I think Reed and Mahle still have upside as MLB starters, but that still needs to be proved. I don’t know what to think about Stephenson and I don’t think anyone else knows either at this point. Unfortunately, the inept handling over the previous 3 seasons resulted in no useful information or determination and blew all his available options. That is good stuff Hotto. And of those you mention Stephenson has the best 3 pitch offering, but just like running a marathon, 1/3rd of it is mental. I do not think Brian Price helped any of these guys develop which really surprised me. That said, I think Stephenson breaks out this year with a new pitching coach. The other 3 go back to AAA to figure out that 3rd pitch. I love that DJ has control of pitching through the continuum of minor leagues and major leagues. That way Tony S. Or Hunter Greene do not get rushed before they are ready like all of these guys did. Castillo would probably be handled differently by a little bit today. And Disco, with an option does not have to get rocked at ML level while trying to recover that ability to get out LH hitters. Steve, I agree it’s best not to rely on ERA, and other stats paint a better picture of what a pitcher controls and are more predictive. But for me doing the math on my own, I can separate starter innings from relief innings and then calculate ERA a lot easier. I’m not familiar enough with the math or internet tools to do the other numbers. But yes, the overall point is the sample size is small and the guys didn’t really get a lot of opportunity over the past two-three years to know a whole lot at their age. it’s taken a while, probably a combination of miserable losing seasons and a series of questionable, nonsensical moves in the last couple of seasons, but I’m coming around on the 2019 Reds team. The coaching hires have been great in my opinion and I’m hopeful that will result in getting the more out of the roster than in previous years. The front office has made savvy and smart trades without forfeiting our best future resources or much future payroll. The rotation at this point looks like it can be reasonably effective and has some depth to it. The bullpen is looking pretty strong as well. The lineup looks to be a real factor that should carry us in games, and it looks like we’ll have solid options off the bench which will give the lineup flexibility. The defense overall, leaves something to be desired and is the current weak spot, especially up the middle where Peraza wasn’t very good at SS last year, Gennett was about average, and we have no idea what we’ll get out of CF. I agree that if we can add Realmuto, that this dog hunts. That would put the lineup over the top and make everyone in the lineup a tough out. If we can land Realmuto with a package headlined with India, Barnhart then that’s even better. I’d really prefer the Reds to hold onto Senzel, Greene, Trammell, Santillan, and Siri. Holding onto T. Stephenson would be nice as well, because catchers who can hit are hard to develop. Holding onto that group, having payroll opening up, and being competitive this year sets the Reds up very well moving forward. My eyeballs tell me that Peraza is a better SS than Scooter is at 2nd base. Scooter and Peraza as a tandem had some keystone cops moments ….. Misplaying balls up the middle and a couple botched relays. Scooters arm at times was very poor. I remember one game in particular Casali had to make an incredible scoop on a weak throw. But, Peraza still has more upside and Scooters bat plays big at GABP. Getting Senzel in the OF really opens up 2019 for a dynamic offense short term and long term. Arbitration results are starting to trickle in. Anyone know when Alex woods date for his hearing is. Just as an impression, ZIPS seems to routinely undervalue players. Average the last 2-3 years and subtract 10%. I know they use a different algorithm, but that is what comes to mind when I see their projections. Are they all appraisers for mortgage companies? If the Reds were in the Wild Card game, the most worrisome part, IMO, regardless of starter…. would be that Peraza/Gennett would make a bonehead defensive play…together or individually. It’s not that either is horrible in the field, but they showed little signs all season of working well together…covering all the ground between, relays….all of it. If the Reds get Realmuto, they will be up on the win curve where little things would start to matter a lot, especially in the competitive NL Central. The SD Harper meetings have to be interfering with the SD Realmuto discussions. Several tweets today that India. Barnhart and a lower level prospect could get it done. The Padres now believe Harper s price tag could be rewarded by his marketing and they have the best farm system The Reds need to pressure the Marlins to open up negotiations with Realmuto, ala Gray. That would be huge. My eyes told me that Peraza was horrible–or near enough to it–in the field. He wasn’t–eyes again–bad at second base–so that gives some reason for hope, but at short he missed grounders, made bad throws and showed poor instincts for the position. I also thought that Scooter was a bit better than the general narrative suggests. Maybe I’m enough years removed from being accustomed to BP’s magic show to be forgiving of other second basemen. The issue is that BP was a multi Gold glove canadate and winner. Anyones Defense will look less. Same as who plays CF for the reds this year will look like a step back defensively. I appreciate your observations and insight into what has been an organization failure with regards to the young arms. The ages I included were the age they would turn I 2019. Mahle turns 25 in September. The reds have failed these youngsters. The frustration for me is I have seen each one of them turn in outstanding performances so they can do it but learning a third pitch at the major league level is a bit much to ask. They are asking them to locate the fastball every pitch. At GABP there is no room for error as we know. As for projections for the position players I think they are a little harsh. It’s fairly obvious that they are somewhat defensively challenged making the job of the pitchers even more difficult. Overall what Peraza did offensively was impressive. Gennett brings an attitude on the field and in the clubhouse that is a plus. While I am learning the analytical aspect, the eye ball test can’t be dismissed.